Your garage door must cope with a range of threats every day, including harsh sunlight. At GARAGA, we deliver high quality, durable garage doors that are designed to look just as good in 10 years as on the day of installation. 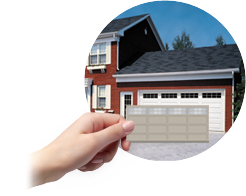 R-value is important, but there’s more to getting the right garage door. Our dealers will find a garage door that features thermal breaks and weather stripping to help protect your garage and the rest of your home. No matter what brand your garage door is, it’s only as good as the installation. 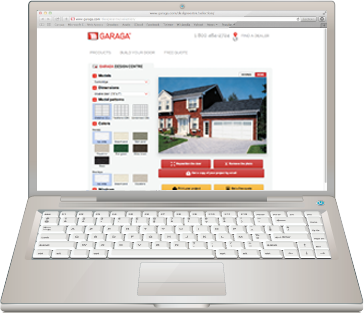 At GARAGA, we offer our customers expert installation services – our technicians have over 45 years of experience with GARAGA products. What other customers from Colchester, VT area say about Garaga? We are thrilled by the outstanding new Garaga doors. They have exceeded our expectations. 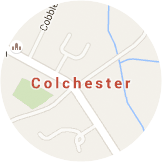 Sales and installation were equally excellent with friendly service and helpful information. Good company to work with, answers calls promptly, quick with estimates and shows up when promised. Did you know that according to “Remodeling” magazine the average cost for a garage door replacement in New England is on the order of almost $1,700? However, up to 84% of that investment can be recouped on selling. Use a real photo of your home to see how the garage door will ultimately fit your overall design. Sick of dealing with salespeople constantly trying to get you to buy the “latest and greatest”? Our dealers don’t do that. Our professionals listen to your needs, understand your budget, and then make suggestions that satisfy all your requirements. There’s never any pressure to buy a specific model or style. It’s your choice – no rush on making a decision. 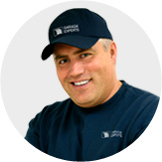 GARAGA’s team of qualified, certified installers, technicians and repair professionals offer friendly, knowledgeable, expert service at all times. When you work with GARAGA, you’ll find that customer service and satisfaction are our top goals. We strive to provide our customers with the best possible experience, and always consider their budget and unique needs. We’re also happy to ensure that your garage door remains in good working order at all times. Simply contact one of our dealer, and we’ll have a certified technician visit your home to conduct a full inspection and provide any needed maintenance. Concerned that your garage door might be an easy point of entry for a home invader or burglar? Let the technology of LiftMaster garage door openers put your mind at ease. Reliable, simple to operate, and secure, there’s no better solution to your operating and security concerns. Follow I‑89 N to US‑7 S in Georgia.